Avel L. Gordly was the first African American woman to be elected to the Oregon State Senate, representing Oregon Senate’s 23rd District from 1997 to 2009. Prior to her service as a Senator, Gordly was a member of the Oregon House of Representatives from 1991 to 1996. A native of Portland, Gordly is the daughter of a Union Pacific Pullman porter and a working mother active in women’s organizations. She holds a Bachelor of Science degree in the Administration of Justice from Portland State University and completed the Program for Senior Executives at the John F. Kennedy School of Government, Harvard University. During her legislative career, Gordly was a chief petitioner for Oregon’s minimum wage law in 1995, establishing Oregon’s minimum as the highest in the nation at the time, and for Measure 14, an amendment that removed the remaining racist language from the Oregon Constitution, which was passed by popular vote in 2000. During the 2003 legislative session, Sen. Gordly organized a ceremony marking the 50-year anniversary of Oregon’s Public Accommodations Law, featuring retired Senator Mark O. Hatfield, then a member of the Oregon House of Representatives, carried the bill to passage. The 1953 law was the culmination of nearly four decades of hard, painful and self-sacrificing struggle by African American Oregon citizens to end racial discrimination in places of public accommodation. Gordly’s advocacy for education, from pre-school through a quality education for all children, resulted in her work with Albina Head Start and the Saturday School of the Black United Front. She is a Senior Fellow of the American Leadership Forum and has a long professional career including service as an Adult Parole and Probation Officer for the State of Oregon Corrections Division; as Director of Youth Services for the Urban League of Portland; as Community Liaison for the Multnomah County Health Department, where she worked on the County’s emergency preparedness and health disparity issues. Gordly’s career as a community leader and public servant includes Program Director of the House of Umoja, providing services to gang-impacted youth and families, and as Executive Director of the American Friends Service Committee, Portland office. 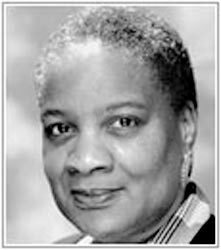 In 2008, in recognition of Gordly’s ongoing advocacy for mental health issues and her role as the founder of the African-American Mental Health Commission, Oregon Health Sciences University opened the Avel Gordly Center for Healing. Avel Gordly is currently an Associate Professor in the Black Studies Department, Portland State University, where she has developed and teaches a course on Black leadership, public policy, and community development. Her memoir: Remembering the Power of Words: The Life of an Oregon Activist, Legislator and Public Servant was published by the Oregon State University Press in 2011. The Avel L. Gordly papers comprise approximately 50 linear feet of records, including correspondence, speeches, photographs, videos, publications, and other materials representing Gorldy’s work with legislation and advocacy. The Gordly Papers are a shared gift from the Hon. Avel Gordly to the Portland State University Library’s Special Collections and Portland State University’s Black Studies Department.